Are you ready to take relaxation to the next level? If you’re longing to escape from life’s struggles, the enchanting island of Catalina is waiting for you. Located approximately 20 miles off the Los Angeles coast, Catalina Island is a beautiful, quaint and historic vacation destination. From the moment you step onto the 22-mile-long island, you’ll feel as if you’ve entered a dream world. Catalina Island has two main cities, and each one offers an array of exciting activities and breathtaking sights. The quintessential island town of Avalon is Catalina’s hot spot. With its Mediterranean-style scenery, crystal waters and a near-perfect climate, Avalon is the ideal fairy tale getaway. Tourists are not just welcome there; they are catered to at all points of interest. On the island’s west end is Two Harbors, a sleepy seaside village pulled straight from a storybook. It has a pleasantly peaceful vibe and just one restaurant, bar and general store. Because the island is so small, you can easily visit Two Harbors and Avalon in one day. Take a quick helicopter ride from the mainland to the island, or use a boat service such as the Catalina Express. The high-speed ferries depart multiple times each day from Dana Point, San Pedro and Long Beach. There are plenty of opportunities to take in Catalina’s dramatic landscape. Go on a guided tour through the scenic island interior, or explore on your own while biking, hiking or riding a horse through the fascinating wilderness. For a truly remarkable experience, join the Zip Line Eco Tour and glide down five separate zip lines high above a gorgeous canyon. At each stop, you’ll learn unique facts about the island. The sparkling clean water around Catalina provides a healthy marine habitat that you can explore as well. Go on the Dolphin Quest, take a kayak around the electric-blue sea and even watch fish jump right out of the water during the Flying Fish Expedition. If you’re feeling extra adventurous, head to one of the popular diving sites and snorkel into secluded caves, swim through vibrant reefs and discover underwater shipwrecks along the way. To slow things down, enjoy a delicious meal and do some people watching at The West End Galley in Two Harbors or the Avalon Grille. Be sure to order a glass of the famous Buffalo Milk at any of Catalina’s bars. After you re-energize, take in some culture at the island museum or one of the fine art galleries. Also check out the iconic Catalina Casino, an entertainment venue with an interesting history. One of the greatest aspects of Catalina is the restriction regarding motorized vehicles. You’ll be walking, riding a golf cart, boating or taking a trolley to see the sights. You can cover a lot of ground in a short time frame, so it’s easy to plan a last minute outing or combine two trips together. 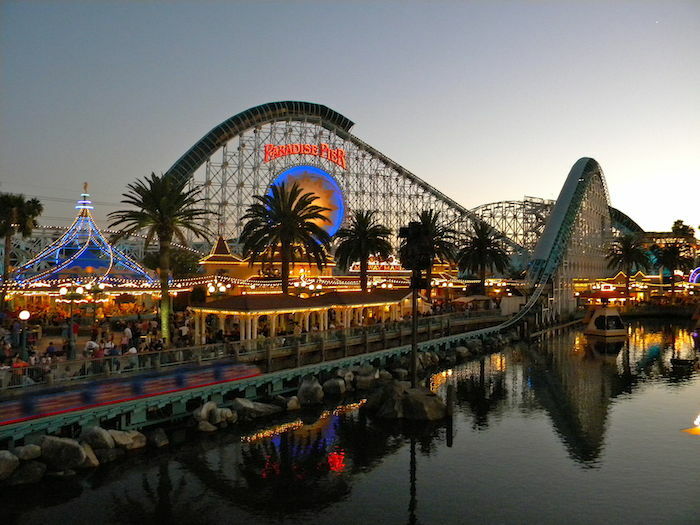 Enjoy a Disneyland vacation with the family, and then head to the island to punctuate your Southern California experience. Catalina Island offers an endless amount of activities for everyone. Do you want to parasail above the cobalt-blue ocean, enjoy sand therapy at a first-rate spa, mountain bike through nature or unwind on a tranquil beach? Would you rather spend one adventure-filled day under the clear, sunny skies or camp overnight with the stunning coastal cliffs as your bedroom backdrop? No matter how you spend your time in Catalina, you’re sure to feel the island magic.